The colors pigmentation in this palette are totally incredible, they are buttery smooth, no fall out what so ever and you don't need any primer with this palette because they are extremely pigmented. This palette is divided in two sides, the left side has the "Pro Basics" that are the neutral shades that complement perfectly the other side of this palette called "Pixelated Color". Those are the bold and smokey shades. These colors are totally multifaceted and if you change the base that you are using before applying these shadows, they will look completely different. The limitation of this palette is your imagination. You can also combine them and create your own multichrome shade. You can use these colors in so many different ways. I'm just obsessed with it! I was thinking on including it in a review with other products but it is just so beautiful that it deserves it's own review. This palette has a totally unique versatility that I haven't seen in any other smokey eyeshadow palette yet. Shades description: 1) Cream satin 2) Cream shimmery 3) Matte brown/taupe 4) Deep black matte 5) Metallic Silver 6) Multidimensional green teal with blue and violet shimmer in it. 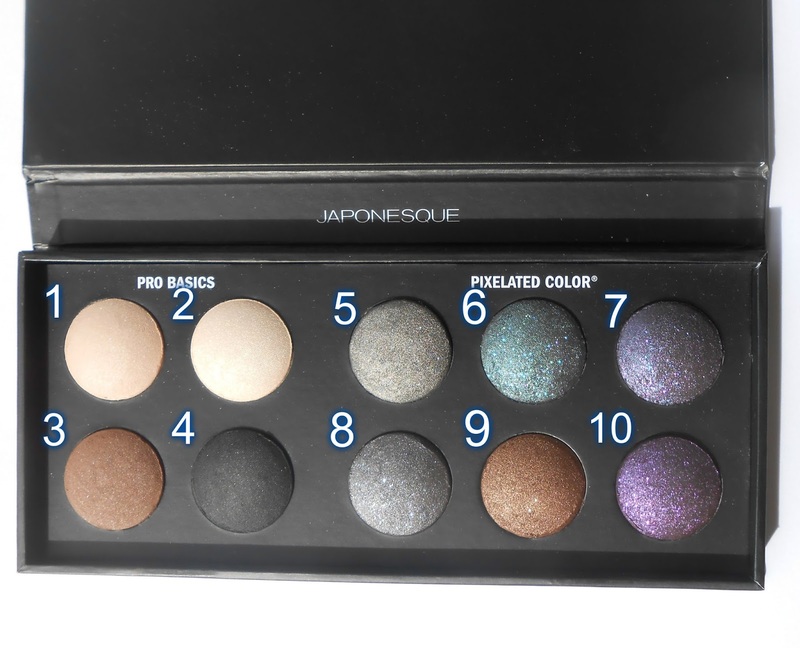 7) Multidimensional violet shade with blue, purple shimmer, and a smokey charcoal base 8)Multidimensional gray with a charcoal base 9) It is a bronzy/coppery 10) Multidimensional purple with purple and blue shimmer. 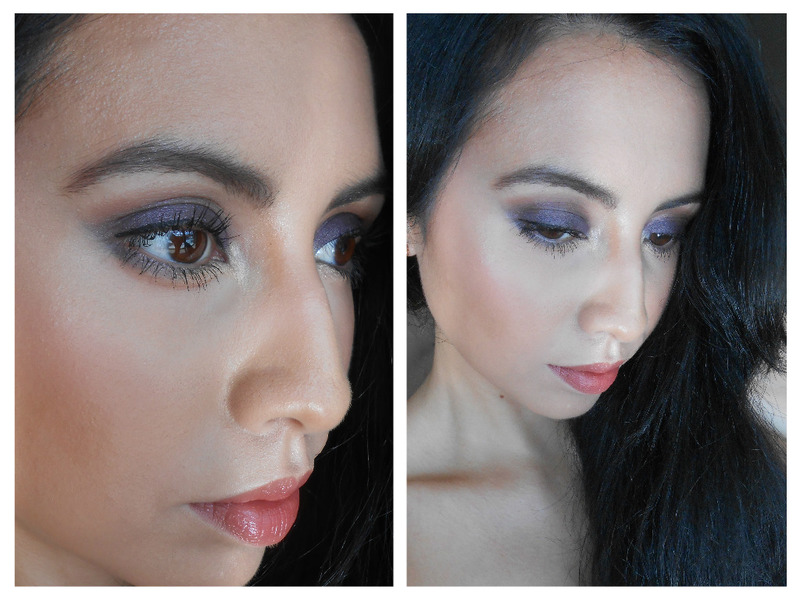 The purple shades may look similar but they have different bases and look very different to each other. The package is a very sturdy cardboard. These photos don't do justice to the beauty and multi-dimensionality of these shades. Highly recommended. Wow! The pigments are really bright and pretty! Thanks for sharing! These colors look amazing with just the right amount of shimmer. I'm loving the combination of light and dark shades you used. All the colors are pretty. I think my favorite is number 7. How much is this palate I want it! The shades look so pigmented and the purple really suits your olive skin tone! Gorgeous looks! And you totally rocked that beautiful palette! I clicked on the link you have here but is not place to buy the palette, just to add it to a wishlist :-/ Do you know where else can i buy it? I really like the second look you created. It looks so elegant, perfect for a date night. Those colors look so amazing. Perfect for the holidays. Diana!! Love the looks! I’m dying to know what lipcolor you have on in these pics. It’s absolutely gorgeous and I must have it!! Lol!!! Those are looks gorgeous and your eyes looks shiny, I'm sure my wife would love it. The shades are so gorgeous! I need to break out of my earth tone rut and try out a few of these colors! These colors are so pretty. My Daughter would love them. This would make a great Christmas gift for her. You have absolutely gorgeous eyes and skin and this eye shadow really compliments that. I love all of these different shades. Might have to try this. Loving the palette. The colours look amazing on you. Lovely colours and they come out so well! I would add that to my growing makeup collection. Stunning pictures. You say they don't do the colours justice but they look amazing so I can't even imagine what it would be like in real life. Ooooohhhh love the colours. They look lovely on you. I love vibrant colours like this. 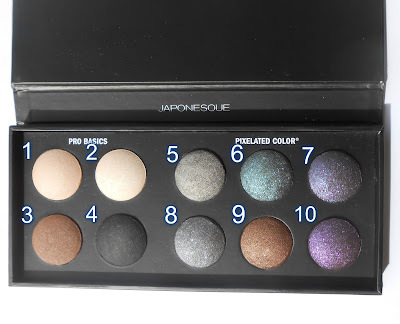 I have never heard of Japonesque before, but this eyeshadow palette is seriously gorgeous. I love those swatches! I also love the looks you put together. Wow I can totatly use this in my life!!! I love this Palette! It is so beautiful! Those arm swatches really help to see how the color actually goes on. Those colors look great!